Join us for Little Rhody: Local Bands Local Brews 2019 – a fundraiser for the Greenwich Odeum on Saturday, May 11, 2019. Enjoy performances by 5 local bands and beer sampling with 5+ local breweries – all for a good cause! The Greenwich Odeum is in the third and final phase of a massive and historic renovation project and we need your help! Our goal is to raise $350,000 to add additional seating in the balcony, second floor restrooms, and a second-floor lounge and gathering space. 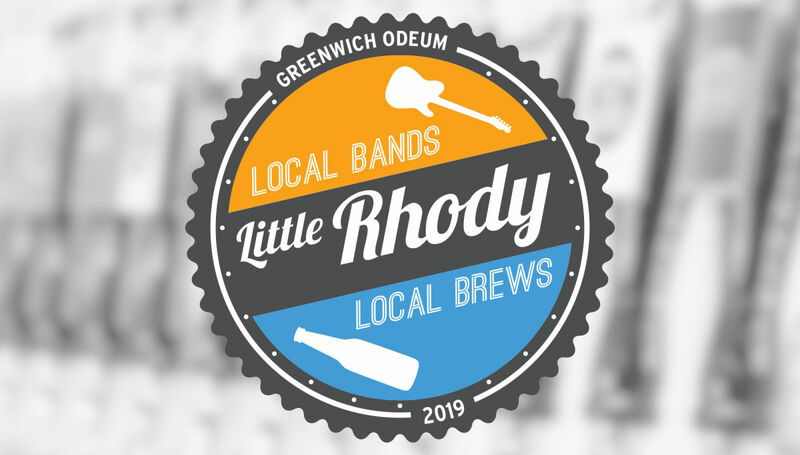 Proceeds from Little Rhody: Local Bands Local Brews 2019 will go towards the second-floor renovation. Please consider joining us so we can restore the second floor and take the Odeum to the next level! Literally! Tickets for the event include 8 beer sample tickets. Tickets without beer samples are available for purchase through the Box Office. Doors open at 4, bands start at 5, and beer samples will be available from 4 - 7 pm, so get there early! This is a 21+ only event, please bring your ID.